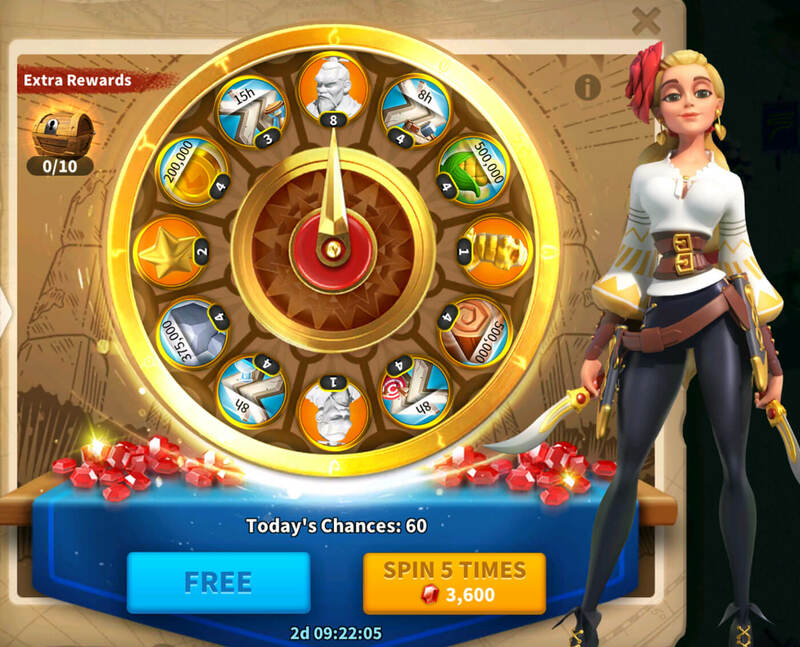 Wheel of Fortune is the Rise of Kingdoms event where you spend Gems to spin the wheel. Every Gorverno will receive a free spin at the beginning of the Event. Event lasts for 3 days. After spinning the wheel as a specified number of times, you will receive a special bonus reward. Remember to click the chest icon on the top left corner of the wheel to claim your bonus rewards! Note that bonus rewards are not reset daily. As long as your total spins throughout the event meet the requirements, you will be able to claim all of the bonus awards! Keep spinning the wheel to receive these extra rewards! * Note: The Hero-specific Sculpture is based on your Kingdom’s state. Each Kingdom could have different Hero sculpture.